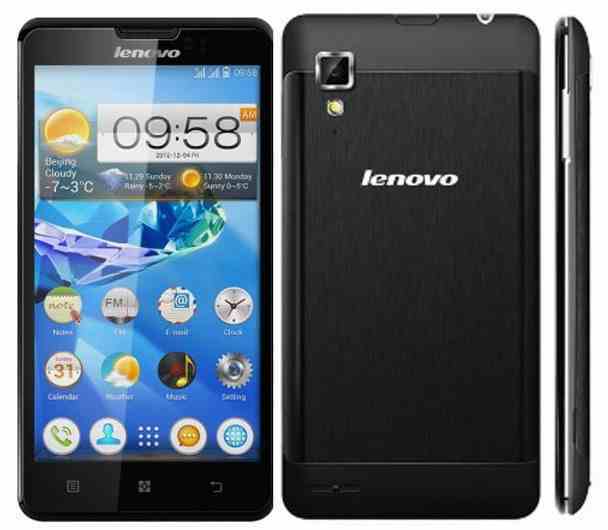 Announced in June 2013 and launched during the same month, the Lenovo P780 is one of the easiest models to hard reset. Being an appreciated IdeaPhone, this one is known for working very well and being good at fighting back all possible viruses that float around the web. However, if your phone stopped working as it used to, it might be that your phone’s immune system has failed. This is when we recommend using the instructions in the second part of this article in order to restore it to a functional state. Any good Android smartphone might sometimes show fatal errors of experience lags that cannot be fixed without doing a hard reset. A virus-infected device will keep on restarting itself every now and again, will not respond to commands and shut apps while you were using them. To get rid of all such issues, as well as many similar ones, we recommend using a procedure called a master reset. This one will bring the phone back to its original settings, which makes that all files will be erased. To avoid losing any important photos, videos, music or other documents, please make sure that you create a backup. Given that this phone comes with an USB cable and microUSB v2.0, as well as USB On-the-go, you can easily transfer files onto other devices. 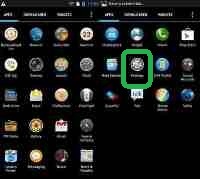 You can also use the Bluetooth v3.0 to connect to nearby phones or tablets that you may want to copy your documents to. Once this is done, you can erase them from the Lenovo P780. Other relevant features that you should know when it comes to this model are the PowerVR SGX544 GPU, the quad-core 1.2 GHz processor, as well as the Jelly Bean (version 4.2) version of the Android OS. Apart from that, you can take advantage of a total of 1 GB of RAM and a micro SD card that lets you save 32 GB more files. If you love taking photos, you’ll also love this device, as it comes with a VGA camera in the front, as well as a 8 MP one in the back. The latter can also shoot videos and has face detection. First, you should check if the device’s memory is not overpacked with too many files that you downloaded and forgot about. Secondly, after making some space on the RAM, you could also try to do a soft reset by removing and reinserting the battery of the phone when this one is turned off. You may then power it back on and see if that changed anything. Switch the phone off and check if it is fully charged. Press together Volume Up + Power and wait until a warning shows up. Read this one and tap Reset Device using the same Volume keys. You should select the option with the Power button and follow any other on-screen directions. The reboot will automatically begin and take up to 5 minutes to be complete. Alternatively, you could use the phone’s settings to do just the same. Please remember to make a backup before you use any of these methods. Make sure that the phone is on and charged. From your Home Screen, open the Menu. Select Settings and go to the option saying Backup and Reset. Press Reset Device, and then select Erase All. Read all warning and follow instructions on the screen. Wait for the phone to finish rebooting, which shouldn’t take too long. You will always be able to see on the device’s display what it’s actually doing and how much it has left. When this is all done, the Lenovo device will restart and it will then look as a brand new one. You can then use the backup to restore the files you need. Good luck and feel free to comment if you need any more guidance! how can i reset it without using the screen?? Unfortunately, I don’t believe you can. Try opening the phone and see if the display jack (the display should be connected to the mainboard through a thick bus) is properly connected. This is just an idea. Hi there, i’ve been trying to hard reboot my device but it’s taken like 2 hours already and doesn’t seem to be done soon. any ideas? i guess it should NOT take that long, right?